• 2 snap front closure on collar. 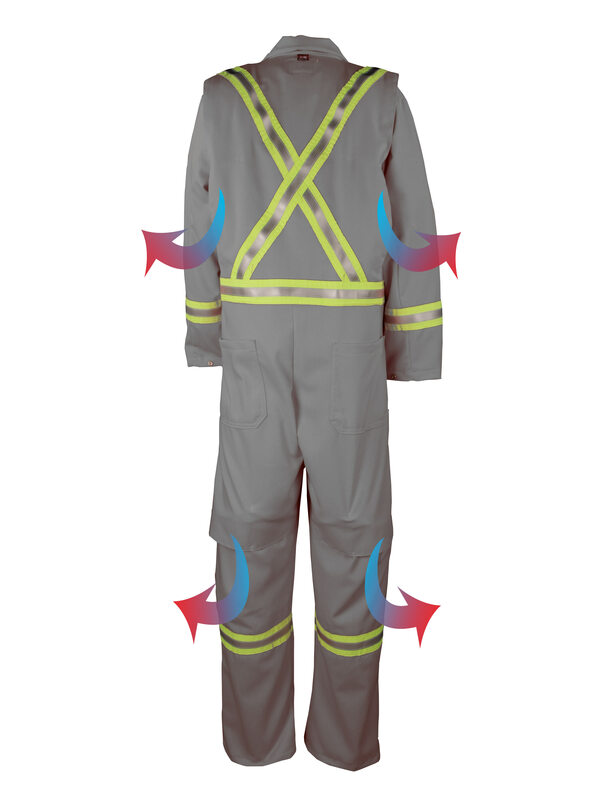 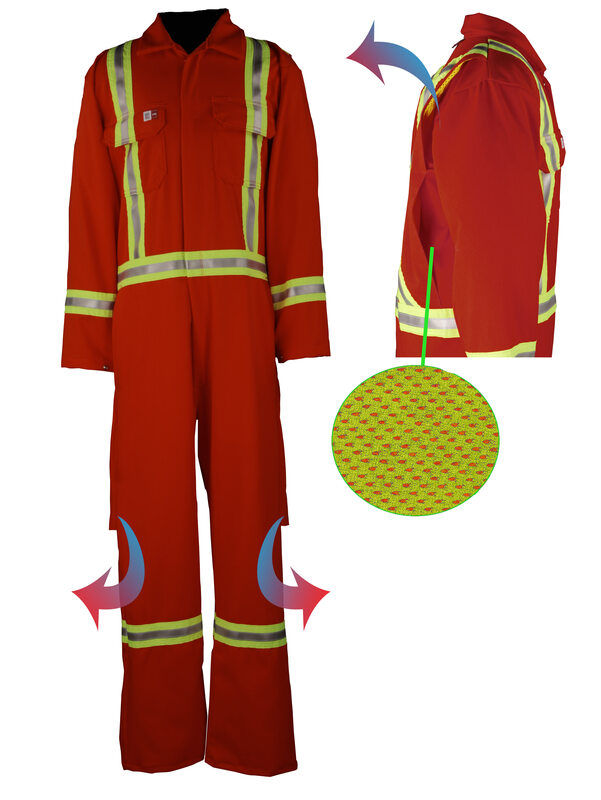 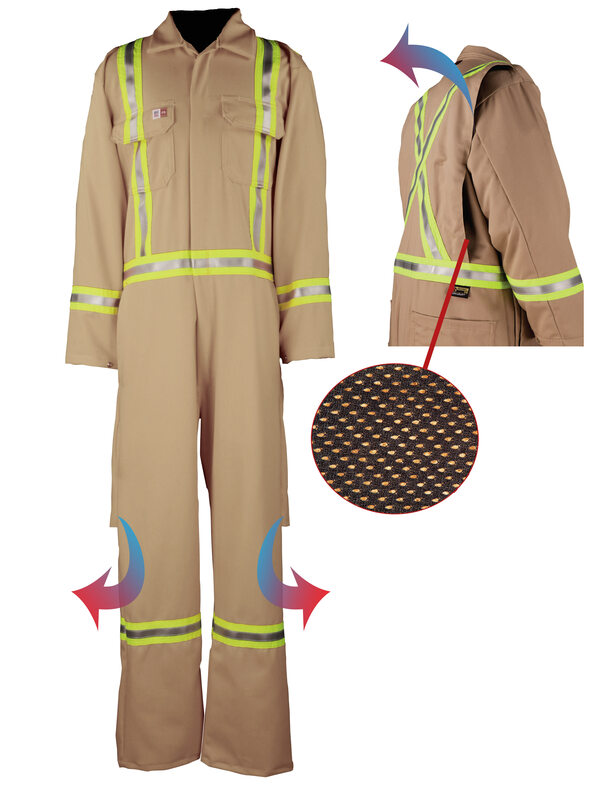 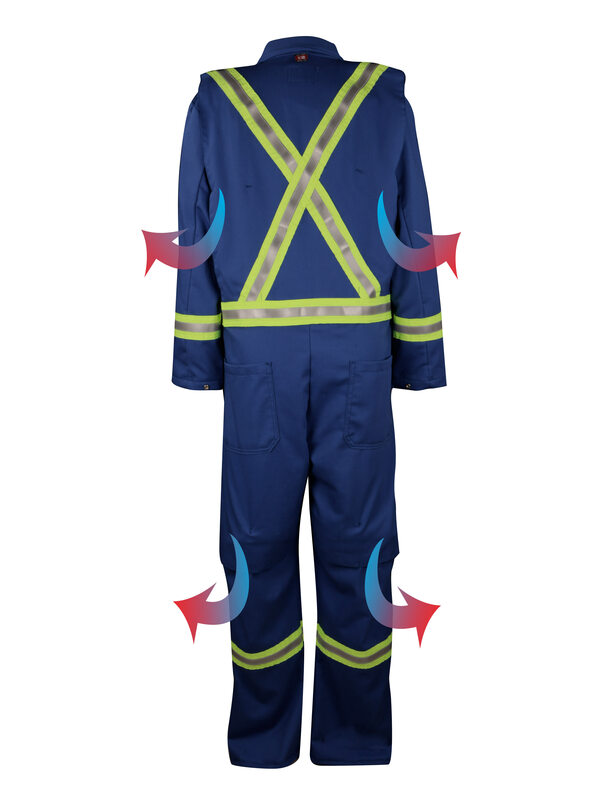 • 2-way concealed nomex taped brass zipper front closure. 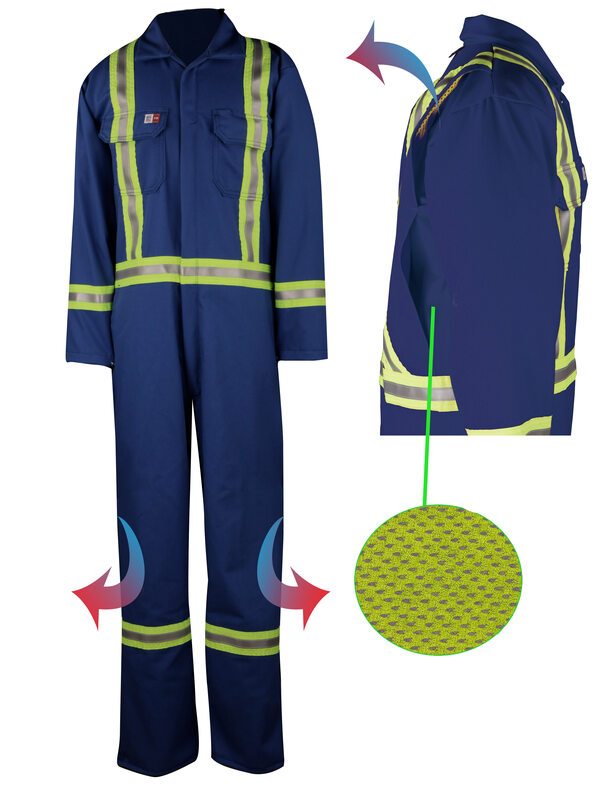 • 2 front chest pockets with hidden snap flap closure. • 2 slash inside front pockets at the waist side openings. 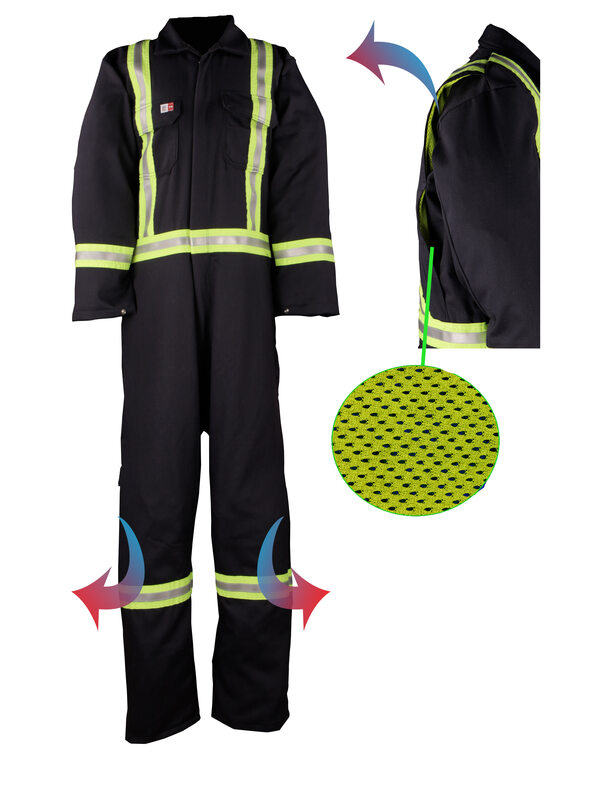 • 2 slash inside front pockets at waist. 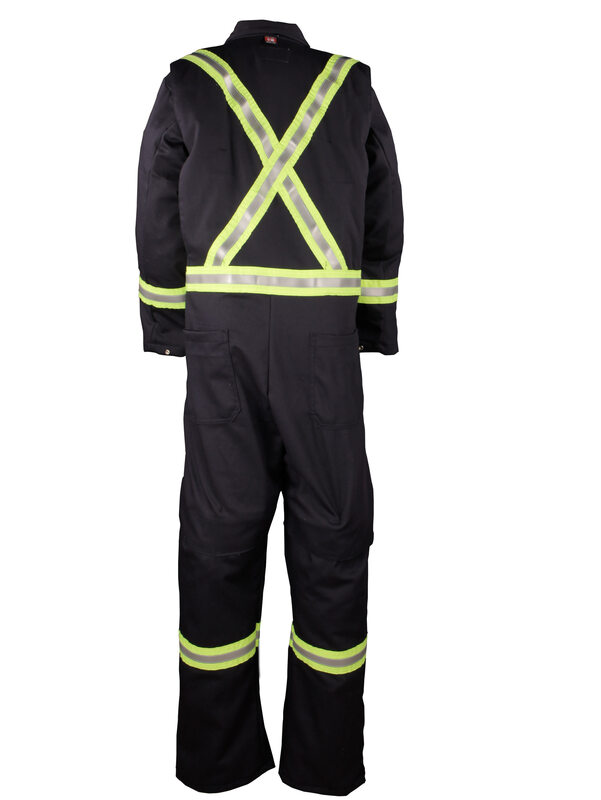 • 2 double stitched back pockets snap cloure at wrists. 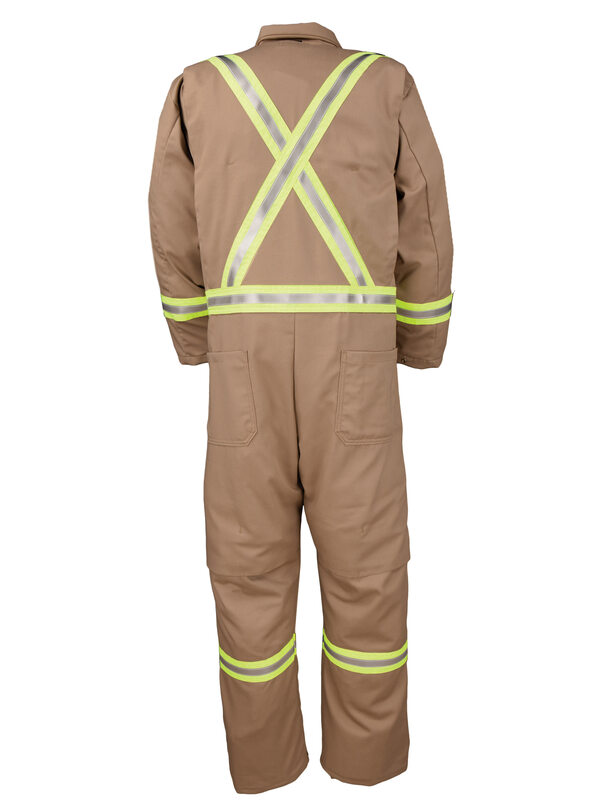 HV TAPE DETAILS: 2" bright yellow trim with center stitched 3m™ scotchlite™ reflective material fr tape 3/4 fr #8940 silver reflective tape (fire trim-x®): reflective tape 2 vertical in front, horizontal on arms, legs and all around waist, “x” on back.